Host a meeting. Support a meeting. Find everything you need on this site to mobilize your community to prevent underage drinking. Join the conversation using #CommunitiesTalk. Interested in hosting an event in 2019? See FAQs, and watch the video tutorial for information about how to register. Find a Communities Talk event in your area. Follow #CommunitiesTalk for the latest news. 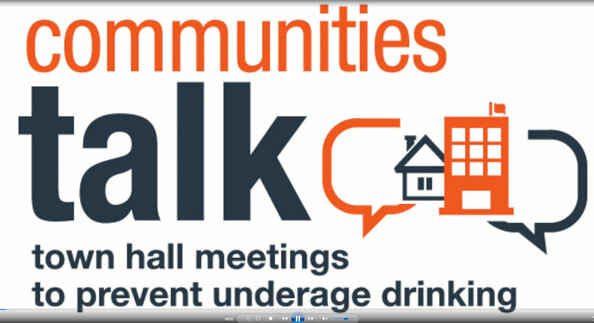 Communities across the nation are using Communities Talk events to help reduce underage drinking.